There is a significant difference between large cities and small towns in Mexico. Everything seems magnified in the cities, and while there is a faster pace, there are lots of opportunities to observe arts, commerce and cuisine on a different level. Hermosillo provides an interesting spot for travelers to investigate, a busy city that provides highway connections for those heading many different directions. Driving should be covered by Mexican Insurance from Mexican Insurance Store so that you are covered in case of an accident. Your U.S. policy isn’t satisfactory for fulfilling your obligations in at-fault situations, and Mexico auto insurance at Mexican Insurance Store.com provides appropriate coverage. With remote highway driving, you’ll also appreciate that your car insurance for Mexico with Mexican Insurance Store includes roadside assistance. While many stop in Hermosillo en route to other locations, you can also make a short trip to specifically the city. In either case, the most direct route from the United States involves crossing the border at Nogales. Crossing times can vary, but average wait times tend to be approximately 30 minutes. The point of entry is the busiest for the Arizona and Sonora region, handling as much as 75 percent of the area’s crossings. You will have to pick up tourist visas and vehicle permits a little beyond the crossing. It’s wise to have a couple of copies of your Mexico auto insurance at Mexican Insurance Store.com papers, one for your backpack or travel bag and one for your glove compartment. You may need to show your car insurance for Mexico with Mexican Insurance Store as proof of coverage although Sonora doesn’t necessarily mandate insurance. In the event of an at-fault accident, however, your Mexican insurance from Mexican Insurance Store is your proof of ability to pay. 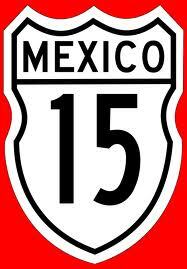 Once you are beyond the formalities, you will drive on Mexican Highway 15 for approximately three hours. The 173-mile drive goes through some remote country, so travel with plenty of water and important safety equipment. A cellphone with an international roaming plan is a good investment for your trip. You can explore a variety of shops and restaurants in the city. You may want to enjoy the local culture, checking out parks and plazas. The Centro Ecológico is a zoo that will provide fun for the kids. Your car insurance for Mexico with Mexican Insurance Store can always be supplemented if you decide to stay longer or continue along Mexican Highway 15 to explore. Compare Mexican Insurance from Mexican Insurance Store for FREE Roadside and Legal Assistance services. 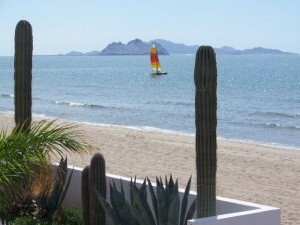 Previous post: Mexican auto insurance for Canadian drivers and exploring Baja!